World Cup squads have been named, flights to India, Sri Lanka and Bangladesh have been booked, and that fancy new one-day strip that England are sporting has received the JJB Sports treatment. But England coach Andy Flower now needs his players to stand up and stake a claim for their place in the one-day team, and punters should get behind England at 1/1 as the team looks to avenge the first one-day international defeat in Melbourne. Following the six-wicket win for Australia at the MCG, Tim Nielsen’s side have been trimmed into 8/11 to win the second ODI and are 1/2 to win in the series betting market. But with Paul Collingwood kicking down the door, Eoin Morgan, Kevin Pieteren and Ian Bell all need to continue performing if they are to keep their spot in the ODI side and their runs can steer England to victory. Pietersen is the 7/2 joint favourite alongside Andrew Strauss to be England’s top runscorer in the second ODI, but Morgan and Bell are under the most pressure to perform and they can use that motivation to build a big score. Bell is 5/1 and Morgan 6/1 to be England’s top second ODI runscorer. Shane Watson continues to be Australia’s best player and at 3/1 to be Australia’s top second ODI runscorer, the opener offers incredible value considering his 161 off 150 balls in the first ODI. The Bellerive Oval is hosting only its second ODI between Australia and England and Australia won the first won by seven runs, back in 2002/03. 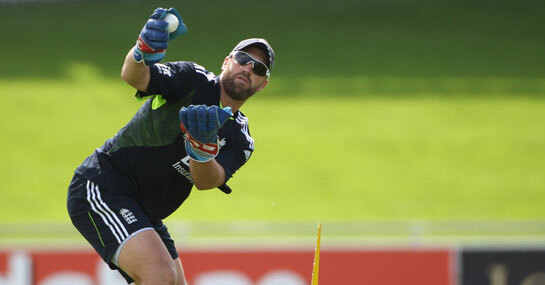 A tight match can be expected as both teams look to build their form heading into the World Cup, and all eyes will be on Tim Bresnan who becomes the most experience bowler in England’s attack while Anderson is rested. A £25 stake on England beating Australia would return £50. New customers can sign up here for a free cricket bet worth £25.